In a recent application (see the video at the end of the post! ), a customer need to singulate randomly spaced product moving at a high rate of speed. The product was coming out of a cleaning and drying unit in four lanes, moving at 40 parts/minute. After being singulated, the product will then entered an X-ray machine at a rate of 160 parts/minute. 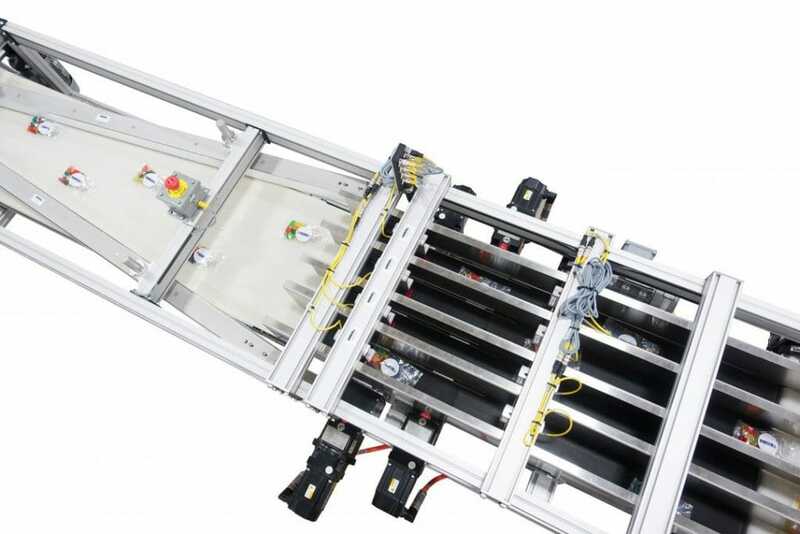 Dorner merged the product using a combination of high speed sensors, servo motors and 2200 Series pacing conveyors. 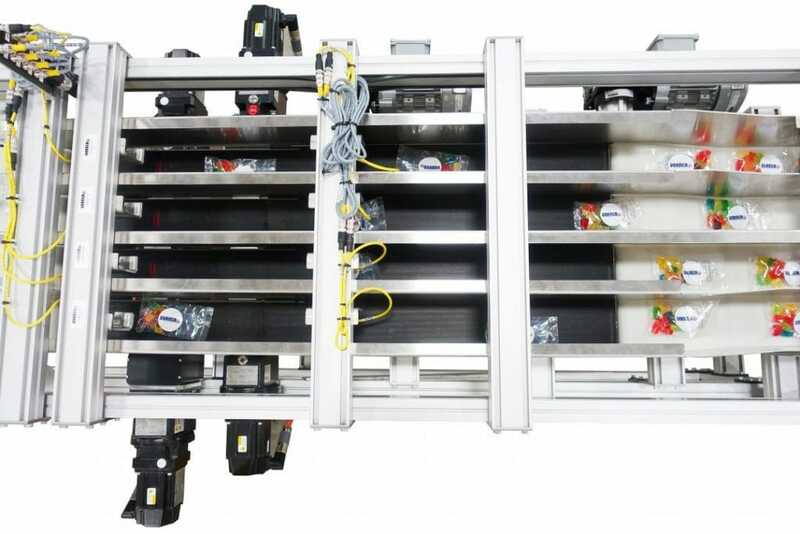 Two common infeed conveyors (center and right conveyors above) initially gap the product prior to each of the 4 individual servo conveyors (lanes). Each lane uses 2 sets of photo eyes to sense product. This data is fed to a PLC which controls the servo movement to properly space the product for the merge. 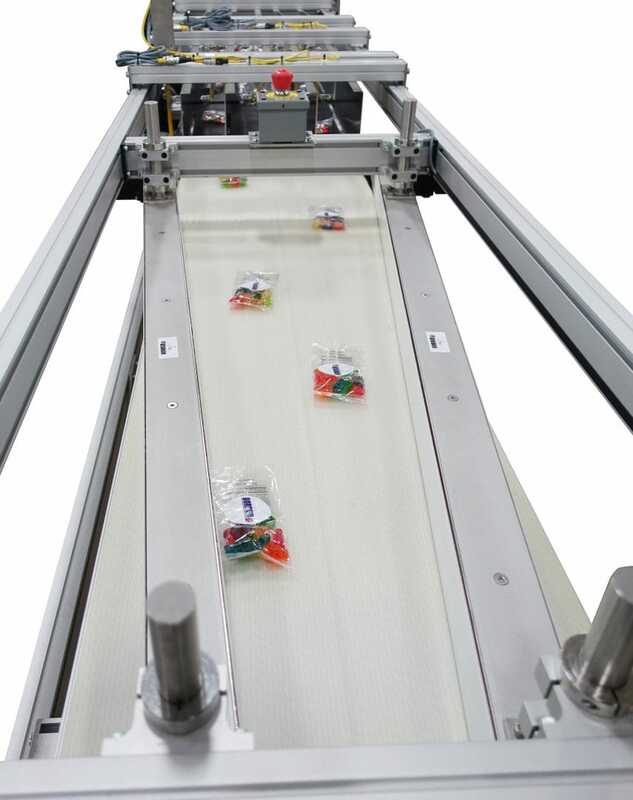 The merge is then completed by two vertical conveyors directing the product into a single stream. Learn more about Dorner’s Engineered Solutions and the custom solutions we can provide or contact us today to discuss your application.